Ōlloclip had a really fun, interactive booth at this year’s show. They had a big "sandbox" display that had an array of round trays on it with Ōlloclip-equipped iPhones next to them. In each tray was something that looked absolutely amazing when magnified under the Macro lenses of the new Ōlloclip Macro 3-in-1 ($69.99). Some trays had sand or glitter, others had tiny cast-metal trinkets or computer microprocessors, and others had various woven materials and fabrics. The display was very effective at demonstrating firsthand just how amazing the Ōlloclip Macro 3-in-1 is. Using the three lenses (Macros 7, 14, and 21) and Ōlloclip’s patented range finding (and conveniently steadying) lens shroud, it was almost like looking at these objects through a microscope. VERY cool! 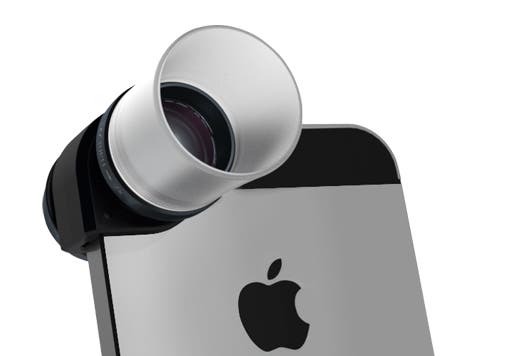 In fact, the Macro 3-in-1 lens actually took home the iPhone Life Magazine Best of CES 2014 award. Along with the Macro 3-in-1 lens, Ōlloclip was showing off its brilliant new collection of brightly colored Ōlloclip 3-in-1 lens kits, ($59.99) made specifically for the colorful iPhone 5C line. I also got to take a gander at the jaw-dropping abilities of the Ōlloclip Telephoto and Circular Polarizing lens ($99.99) and its incredibly sharp and clear 2X optical magnification. It's amazing to see the potential that this lens unlocks for even the casual iPhone photographer, not to mention the person who uses the iPhone as a serious photographic tool. Expect grand things from Ōlloclip this year. Besides getting to catch up with Ōlloclip’s CEO Patrick O'Neill, who's just an all-around great fellow, I also got a sneak peek at some of the things they have up their sleeve. And I think it's safe to say that the innovative spirt of Ōlloclip is alive and well. 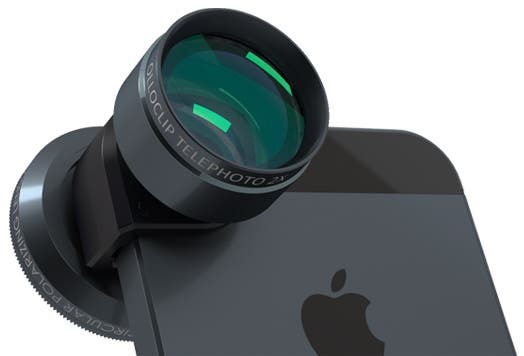 Stay tuned to iPhone Life for more on Ōlloclip and their upcoming developments as this year progresses.